Well said, Jack. I was strive to forgive, as Jesus forgave and still forgives us today. How amazing it was that though Jesus was up there on that cross and dying, He still forgave each and everyone of those who were involved in His crucifixion. That’s just amazing and a wonderful example for us to follow. Forgiveness can be so hard, but once you’re able to work through the wrong, it feels so much better to offer that forgiveness for the wrong. Far too many these days return anger with anger and it is said that those who live by the sword die by the sword. I truly believe it. I do not follow a particular religion, but I consider myself a spiritual person. In my youth I was militantly agnostic and had a hard time forgiving. A couple of near-death experiences, and my views have shifted quite a bit. Nothing like circling the drain a couple of times to give you some perspective on life. Awesome post. 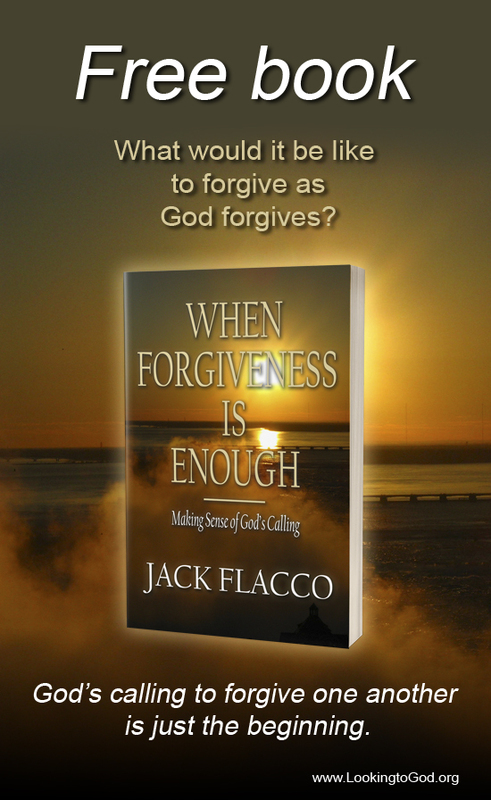 Forgiveness is hard, but when unable to forgive, it festers as something ugly.